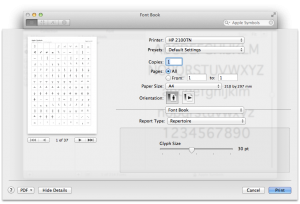 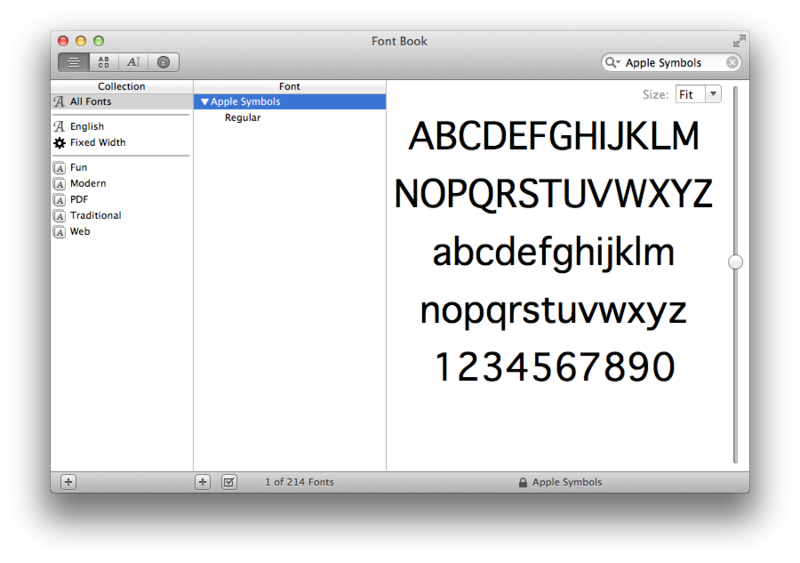 First open Font Book and open up the Apple Symbols font. 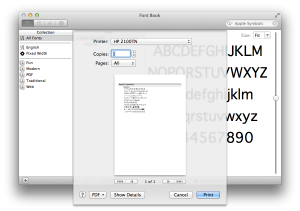 Next, bring up the print dialog (CMD + P). Change the Report Type to ‘Repetoire’. Next change the glyph size to something larger, I find 30pt about right most of the time. Now click on the PDF button in the bottom left, and save the PDF somewhere. 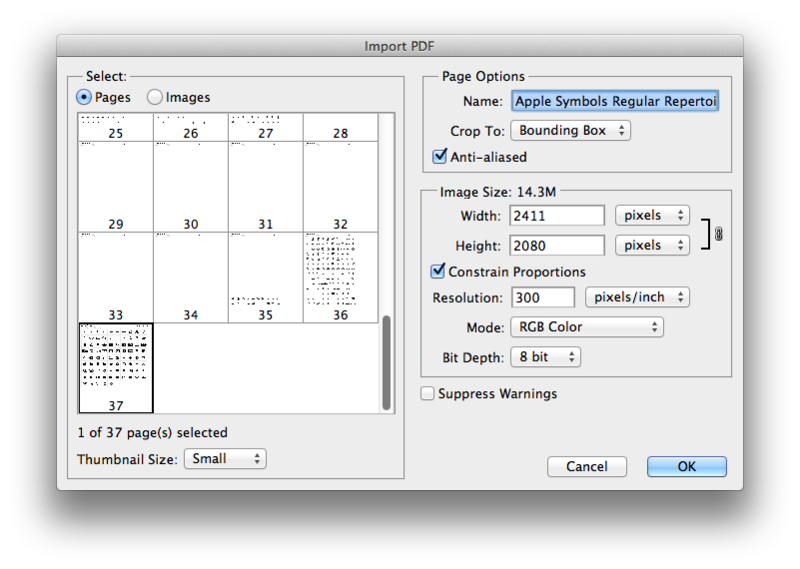 Next, start up Photoshop and drag the PDF into the stage. 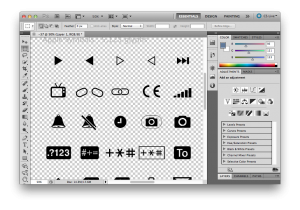 Glyps are ready to go!